Lillian Petershoare grew up in the Juneau Indian Village. She is Yanyeidí, T'aaku Kwáan and a grandchild of the Aak'w Kwáan. Lillian is a descendant of Chief Kawa.ée and Chief Anyálaaháash. She is a graduate of JDHS, Yale University (BA), and the University of Arizona, Tucson (MA). 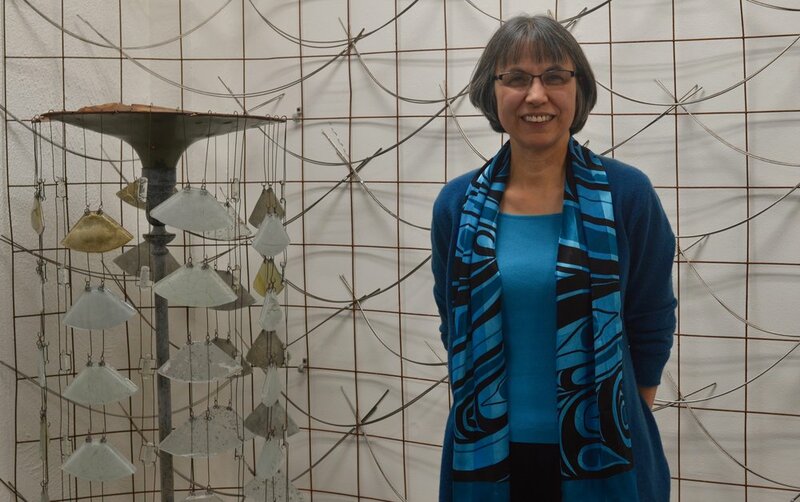 Lillian served as the Librarian for the Juneau Forestry Sciences Laboratory for 10 years, and as the Regional Tribal Relations Program Manager, USDA Forest Service for 12 years. Lillian is a cast member in the live performance of Aan Yátx'u Sáani: Noble People of the Land. She lives in Juneau with her husband Steve. She provided important historical* and legal context for the development of Aan Yátx'u Sáani: Noble People of the Land. "Through the stories of my family I have a sense that as people we can work together. I get that from my ancestors...The stories that have come down to me in my family have risen above the trauma of the times to realize that as human beings we have the capacity to be kind to one another. That's a strong thread that runs in my family." Note: Congress passed the Alaska Native Allotment Act in 1906, the Alaska Native Townsite Act in 1926, and the Juneau Indian Village Townsite Act in 1963 (PL 88-34) allowing for restricted and unrestricted plots in the Juneau Indian Village. Restricted land in the Juneau Indian Village is owned pursuant to the 1926 townsite act and is restricted by statute and regulation and cannot be alienated or encumbered. The BIA approves of any conveyance pursuant to the Code of Federal Regulations. Title to unrestricted land is held in fee simple by the owners, and as such is taxable and can be sold or given away at will by the owner. house fire - wedding gift - legal title? "I was a kindergarten drop-out, I flunked the first grade, and I graduated from Yale."